Enterprise Blocks is a software and website development company located in Pennsylvania. They needed a new logo and stationary design, and I was tasked with the job. 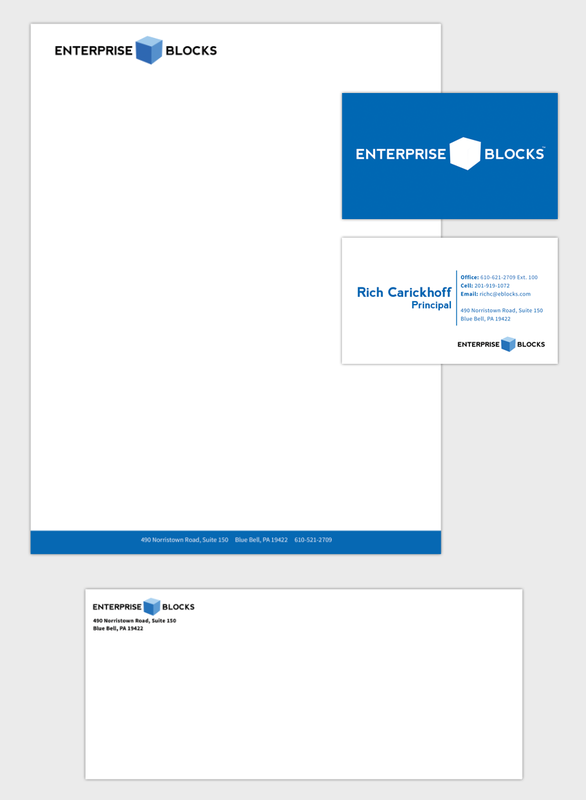 I came up with a nice, clean, and modern look that could be used in multiple applications and designed the stationary with thei attention to detail and focus on functionality in mind.